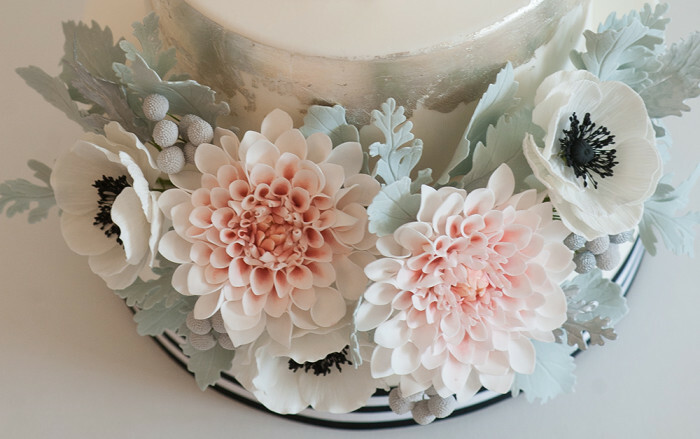 While the color palette is soft and airy, the design elements on this cake make a confident statement. 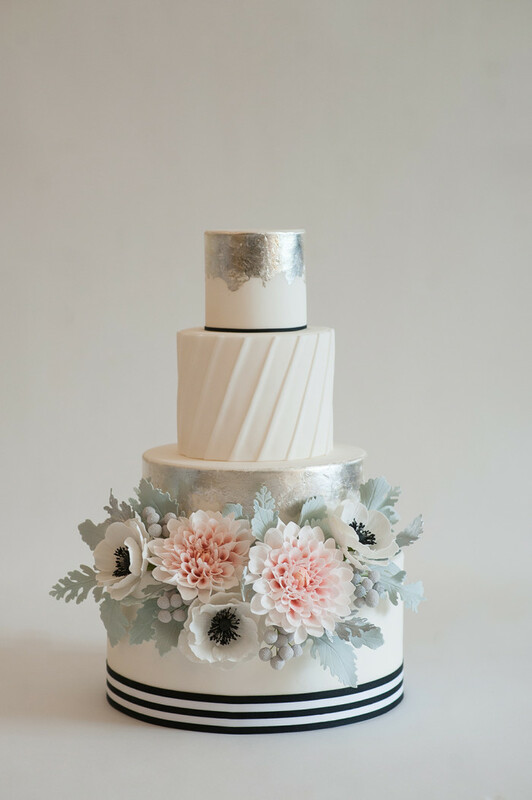 Delicate silver leaf is the perfect backdrop that adds shine and an antiqued look behind the sugar flower display. 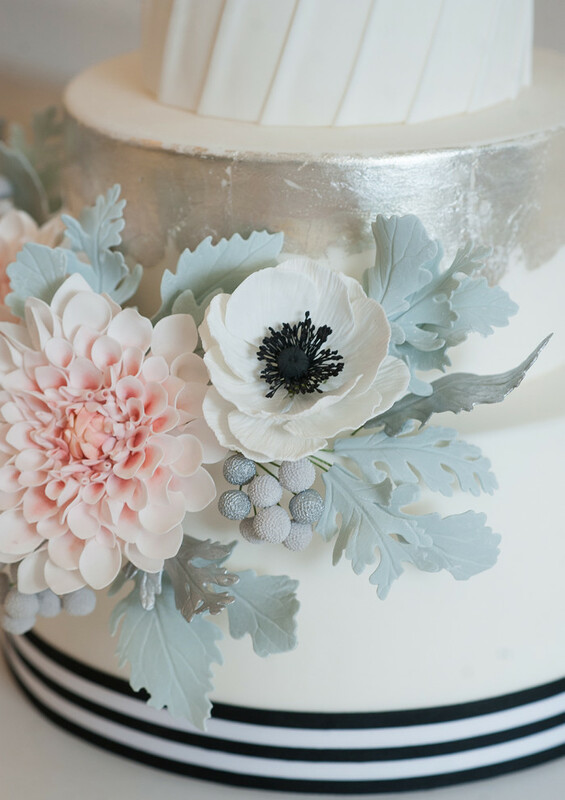 Handmade, almost completely from sugar, dusty miller, brunia berries, blush dahlias, and white anemones go perfectly with the bold, black and white ribbon wrapping the bottom tier. 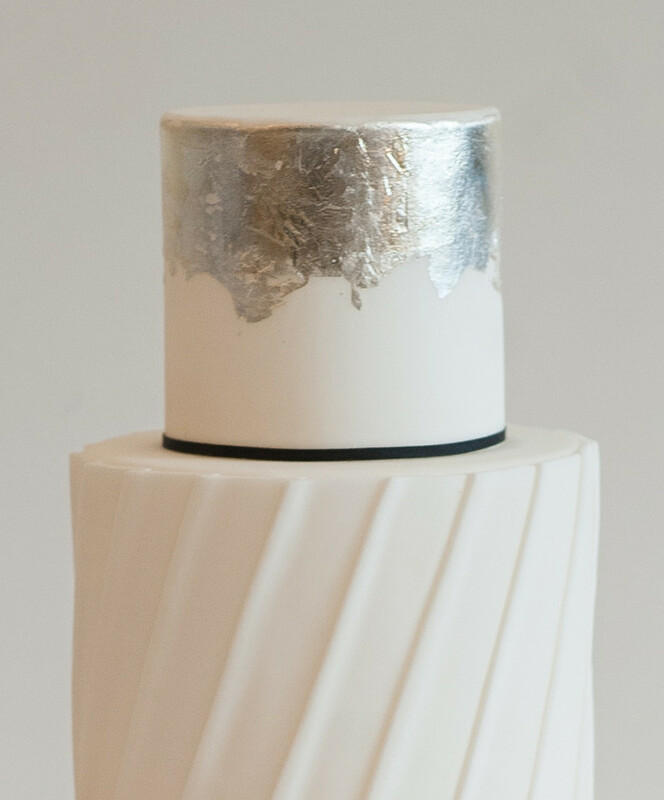 Harlow is for the classic, oh-so-chic Bride that wants to wow their guests.